I was having a coffee with a close friend the other day and she asked me what we were doing for Christmas. I shared how we were going to be getting together with extended family and that I had a real sense that one of the family member’s who has an issue with manipulation and control was going to create a scene and get angry at someone, most likely my husband that afternoon. My friend looked at me and ‘gently’ rebuked me. “Jane, you are always challenging people to watch what they say as your words come true. What you put out there into the atmosphere, what you say, then has power and will come true. I think you should change what you are saying and be an atmosphere changer with your extended family.” Ouch – that really struck me and made me think. Yes. I 100% believe that there is power in our words and we can speak life or death into situations. I had been speaking death and destruction into our Christmas day and I needed to take responsibility to see that peace would reign. Is there anything you are not looking forward to about this Christmas? Is there anyone whom you are dreading the interaction with? Sometimes Christmas can be so stressful and something we are not looking forward to, yet as Christians we are meant to be celebrating the birth of our Saviour? Below, I have highlighted some questions to ask yourself. Am I creating an idol out of Christmas with my expectations? Do I have to have the house perfect? 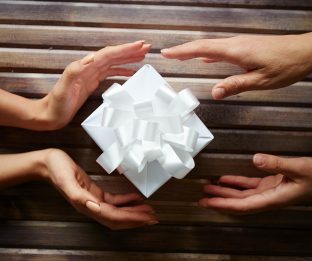 Do I need to give (and receive) the perfect present? Are my emotional needs being ‘filled’ or ‘unmet’ by expectations surrounding the perfect Christmas when God should really be taking that place? Am I creating an ‘idol’ out of Christmas with my expectations of the ‘perfect’ Christmas? Is there a lie I’m believing about having the ‘perfect’ Christmas? How am I spending my time, energy, money and thought life? Is too much time, energy and money being spent on insignificant things? Am I overthinking situations and creating a bigger problem in my mind? Am I spending an inordinate amount of time thinking about what to buy for people? Have I fallen into the trap of people pleasing? 3. What am I speaking into the atmosphere? Are my words full of life? Am I expecting negative things to happen? Am I vocalising my negative thoughts and expectations? This Christmas, why don’t you resolve to be the change you so desperately desire within your family and community. Below I have listed five ways of doing this. A few months ago, I taught a group of children this by saying “Go manipulation. Come freedom.” The change is incredible. Be careful what you say and how you frame it. Speak life into every situation. Realise what you can and cannot change and what you can bring to the situation. Prepare some prophetic words to give to people. Be on the look out for how you can encourage everyone you meet, whether by a smile, a few words, an action etc. Take time to look out for the lonely, the people left out, the refugee, the unloved, the grieving, the ‘prisoner’ (whether in actual prison or a prisoner in their feelings), the person who can’t look you in the eye and doesn’t feel valued. Ask God what you can do or say to show love and to communicate to them that they are important and that you notice them. Do something just for the heck of it. Do something with wild abandon. This 2017 Christmas, may you know and feel the love that Father God, Holy Spirit and Jesus all have for you and may you be a blessing to those you meet and spend time with. 1. Children / Families Activation: Bake a birthday cake for Jesus for Christmas Day. Light some candles and sing Happy Birthday to Jesus. Then each person ask Jesus what His birthday wish is. Share with each other what they hear, feel or sense Jesus saying. 2. Group Activation: Sit in a circle of 5-6 people and choose one person to start with. Everyone asks God how He sees that person and then they share it with them. When everyone has shared, move on to the person on their left and everyone shares how God sees that person etc. 3. Beginner Activation: For one day, purpose to give everyone you meet that day an encouraging word, prophetic word, smile or action. Ask God for ideas. 4. Intermediate Activation: Ask God to highlight someone who is grieving and spend time formulating a prophetic word for that person. 5. Advanced Activation: Spend time with God asking Him for a prophetic word for the whole earth. Write it down and then go outside and decree and declare it out aloud. In this wonderful season of Advent (lead up to Christmas), we have an amazing opportunity to speak into the lives of many people. 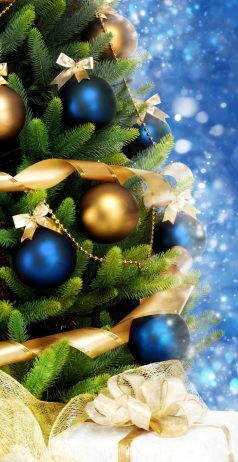 Christmas is a time when many words (verbal and written) and gifts are exchanged. What better time to redeem all of this for Jesus. It is a perfect time to speak, write and give words of life to everyone around you. Two things I encourage you in first though. Go deeper with God first. This is a perfect opportunity to get into the Bible and spend time being with God listening to Him, being intimate with Him. Make time in your schedule. If you are adding something to your day/week, then it is advisable to also look at what you’ll give up or delete from your schedule. Christmas ornaments / decorations – every year I try to buy a Christmas ornament / decoration for each of our children that is prophetic eg my son has many words over him about having a Pastor’s heart so one year I bought a Christmas decoration of a shepherd carrying a sheep. My daughter has prophecies over her about a healing gift so that year I bought her a Christmas decoration of a woman in a white doctor’s coat. Acts of kindness – ask God to show you who needs encouragement and also keep a look out for the lonely or unloved. Ask God how you can prophetically encourage them. Make space and time in your diary for spending time with someone whom God highlights that you wouldn’t normally spend time with. Ask God to show you what to do and say prophetically. Think and plan ahead to any activities over this season when you will be with people who irritate or frustrate you. Ask God to show you what He thinks of them and how you can speak life into them. An ideal Group Game for a Prophetic Team: Every Christmas, I make up some parcels for the game ‘Pass the Parcel’ for the Prophetic Team I am part of. This is an ideal game for people to develop their prophetic skills in. If you have any more than about 6-8 people, it is ideal to make up more than one parcel. I have found that about 10 layers in total with a small object in each layer is a great size for the game time wise and interest wise. I normally buy the objects from the $2 shop or the supermarket, buying what God highlights to me as I walk around. You play the game the same as the children’s game of ‘Pass the Parcel’ (Sit in a circle and start playing some music. Hand the parcel around the circle until the music is stopped. The person who is holding the parcel when the music stops, opens the parcel, looks at the object in that layer and has 30 seconds to ask God whom should they give the object to in the circle and why ie prophetic word of how that object relates to them. It is easier with several parcels at once as then people get a tad longer to hear from God as the other person is giving their prophetic word to someone.) I don’t have the unspoken rules of everyone needs to get a turn and everyone needs to get an object. I specifically say that it is dependent on who we feel the Holy Spirit is saying to give the object to when the music stops. 2. Group Activation: Play prophetic pass the parcel. Before your group meeting, wrap up a layered parcel with small inexpensive objects between every layer. Sit in a circle and when the music plays, pass the parcel from person to person. When the music stops, the person holding the parcel unwraps a layer and asks God whom the object in that layer is for within the circle and why (ie a prophetic word to go along with that object). Depending on the size of your group, you may need several parcels being handed around at once. 3. Beginner Activation: Write a Christmas card for your garbage collector. Thank them for what they do even though it is part of their paid job. Ask God for a prophetic word for them that will encourage them. Write that in the card using non Christian language. Try to give it to the garbage collector next time they pick up your garbage. If that is always when you are not at home, try doing one for the postman instead and leave it on your postbox with a sign saying ‘for the postman’. 4. Intermediate Activation: Ask God to highlight someone to you whom often gets overlooked. Ask God to then show or tell you something about them prophetically. Then buy a Christmas ornament for them that represents what you received prophetically for them. 5. Advanced Activation: Ask God to highlight to you someone who desperately needs words of life spoken into them. Write out a card for them with these words in it but also speak the words out aloud over this person. Perhaps even buy them a present that represents those life giving words. Last evening at our Healing Rooms team breakup, as the celebration time drew to a close, I was asked to release a blessing over the team. I stood up and started to speak what came to my mind for a blessing for the team for over this time until we reconnected again in February. I didn’t specifically feel anything myself personally but I saw and heard many of the team members being impacted. On the drive home, my husband commented that I should write out an Advent blessing for my blog since it seemed to have a huge impact when I released a blessing at the breakup. I cannot remember what I said. I am also not audibly saying it over you as I don’t yet have the correct equipment. (In January, I am looking at buying the sound gear I need so as to start doing podcasts for my blogs.) But, I am writing a blessing down for you for this season of Advent. I encourage you to put your name in the space and say this blessing over you out aloud. There is power in not only reading a blessing but speaking it out aloud over you and calling your spirit to attention first. The spoken word is powerful and changes outcomes. It helps grow your spirit on the inside. I would also love to know any impact over you. 2. Group Activation: Get into pairs and ask Holy Spirit to show you what to bless the other person with. Begin by calling their spirit to attention and then releasing the blessing over them. 3. Beginner Activation: Ask God to show you a friend whom you can pray a blessing over, spend time writing down what God brings to mind and then when you next meet, ask their permission to release the blessing over them. 4. Intermediate Activation: Choose one day as you go about your daily business to release a blessing over various people you meet that day. Frame your words using non christian language and keep it short. Ask God to highlight specific people and what their giftings and strengths are and encourage that in them. 5. Advanced Activation: Spend time with God crafting a blessing to release over your country. Decree and declare it aloud numerous times throughout this season. In the previous few blog posts, I have looked at what to do with your prophetic word in relation to using it to contend with your current situation and how to get the most out of it in relation to your identity. This blog post looks at what your prophetic word is saying about your calling & purpose and how to extrapolate that out of your prophetic word. When we returned from Mozambique 6 years ago, we looked at the fact that our 8 year old daughter had prophetic words over her life about healing people in the natural and supernatural. We realised that we couldn’t just wait until she was say 21 and expect her to start praying for people and seeing healings. We had to steward her growth and development in this. Thus, our family joined our church’s Healing Rooms Team where we would all get experience and training praying for people to be healed. For the first 5 years we were involved in this, there were minimal children on the team ie mostly one other girl. Were my kids happy about being involved? Not always, mainly due to the fact that there weren’t many other kids although my daughter loved catching up with the other girl and looked forward to the times being with her. Were we tempted many times to stop doing this as a family because it was hard? Yes, but we hung in there. Now there are at least 15 children / teenagers on the team and our kids look forward to going. My daughter has learnt heaps about God and healing throughout this time and has seen many healings. Her expectation is that God can and will heal and wants to heal and she just expects God to heal since she has seen Him heal many times. Grab some highlighters, a blank sheet of paper and pens. Read through your prophetic word once again, this time highlighting all the words that talk about your future, your purpose, action or ‘doing’ words (as against ‘being’ words), where you are likely to be in the future or what you are likely to be doing. Grab the blank piece of paper and a pen and then write down all the highlighted words on the piece of paper. If you have several prophetic words, do this for them all. Look for any common threads or similar words and highlight them. Look for any specific words that talk about where, what, who with, etc Circle them so they stand out. Use your sheet of paper to mark and highlight aspects that are important. As you did with your identity words, read through your prophetic words again and look for words or themes that are repeated, or emphasized. Personal prophecy is conditional. It is conditional on us co-operating with God and becoming who He wants us to become. Usually this requires a step up in our character or skills or identity. Does anything come to mind immediately in regard to this? Take a moment to ask God to highlight anything to you where you need to go on a character journey. Look back on your identity words from last blog post. What are you needing to grow in? Spend time dreaming with God. Next, spend some time just being with God, dreaming or imaging what the future may look like for you if these prophetic words come true. What steps will you need to take to get from where you are currently are to where you will be? Start listing off practical stuff that you would need to grow in. Continue spending time with God over the next little while dreaming and brainstorming with God about these steps. Look at the first few steps you would need to take. Write them down. Ask God to impress on you the way forward and how? You need to take some responsibility to action these steps. You just can’t expect God to pluck you out of your current circumstances and land you right in your fulfilled prophecy. You may find it helpful to grab another sheet of paper and draw the steps and label them. What we decree and declare brings life and power. These words speak of commanding, ordering, bringing into being, agreeing with in the spiritual to change the physical. Spend time writing a prophetic declaration about who you are becoming (taken from last blogpost on identity) and what you will be doing. We are speaking truth into the atmosphere and engaging our future with who God says we are becoming. The words we speak bring life or death. We can use our words to bring breakthrough into our current situation. Look at your sheet of paper and choose the words from there that speak about your calling. Put those words into a declaration. I begin like this. “I decree and declare that God sees me as…. My calling and purpose in life is…..
We need to be intentional in who we are becoming and what we are doing. Write down the first 3 steps you need to take. Write a date beside each one that you hope to have accomplished this by. Highlight that which is under God’s control in one colour and that is under your control in another colour. Look at what you need to stop doing so as to allow you time, space and energy to accomplish this. I have personally found that the times in my life when I get someone else to hold me accountable for some goals that I’ve set, I actually go on to achieve those goals. The mere fact that I need to meet with someone else and they will ask me how I am going in certain areas helps to keep me accountable and ploughing towards where I am hoping to be. I also find that it is helpful if that person is a person of prayer and will support me by praying for me. The next 3 steps I need to take. What I need to stop doing. Who I need to hold myself accountable to in this journey for support. Set aside time in your diary to sit with God and review how it is going, read over your prophetic words again, pray through it all. Remember to marinate all this with prayer and worship, spending time with God asking Him to reveal more through this process. Enjoy the journey!! 1. Children / Families Activation: Write sentences on slips of paper eg “If daddy was a car, which car would he be?”, “If mummy was a flower, which flower would she be?”, “If sister was a toy, which toy?”, which book, which song, which musical instrument, which animal etc. Place each slip of paper in a different balloon and blow up the balloons, tying the ends. Get each person to choose a balloon. Play some music and when the music stops, have the first person bust their balloon and read what’s written on the paper. They then answer the question. Play more music and continue the game to the end. If bursting balloons is an issue with any children, place the slips of paper in a bag and when the music stops, draw a slip of paper out. 2. Group Activation: Have everyone place one thing from either their pocket or their handbag on a central table in the room. Ask everyone to select an object off the table. Then ask them to give a prophetic word to the owner of that object. 3. Beginner Activation: Ask God to highlight a family to you and then ask God to show you a bible character for each family member and how the Bible characters relate to them, ie which aspect of that Bible character is relevant for that person. Share with that family. 4. Intermediate Activation: Ask God to highlight a family to you and ask Him to then give, show or tell you a prophetic word for that family as a whole unit. Share with the family. 5. Advanced Activation: Spend time with God asking Him to reveal a country to you and a prophetic word for that country. Spend time praying over that and turning it into a declaration that you then declare on a regular basis.